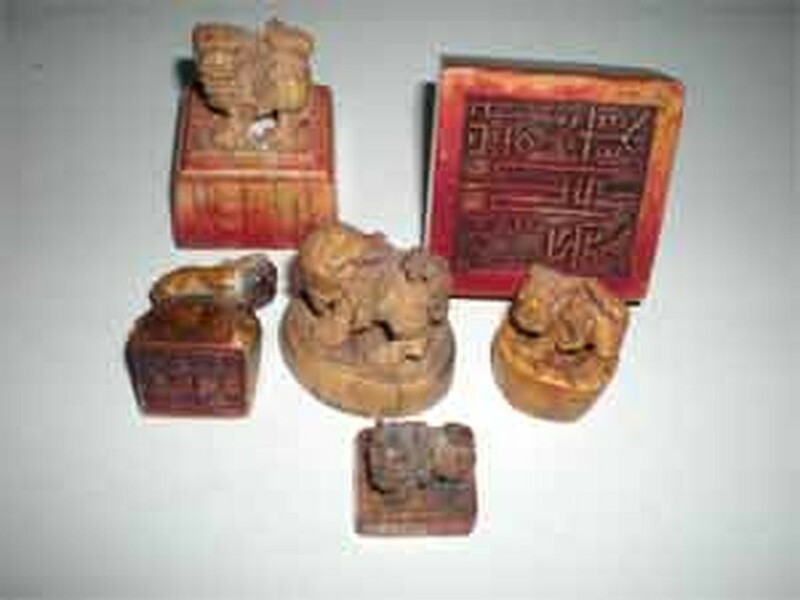 With more than 400 ancient ivory and bronze seals and stamps issued by the rulers of the later Le (1418-1789), Tay Son (1778-1802) and Nguyen (1802-1945) dynasties to officials, Mr. Nguyen Van Pham, 51, is considered the collector with “the most power" in the country. Mr. Pham was born into a family of builders in Phu Cat, a poor district of Binh Dinh, a province in the South Central Coast region. In 1992, Mr. Pham and his family moved to Ho Chi Minh City, where they set up a private construction company. "My hometown had a lot of antiques, especially Champa artifacts which lay about here and there on the ground,” Mr. Pham recalled. “Since no one at the time recognized their value, I and my friends would pick them up and keep them as toys. We played with them to our hearts' content, and then we threw them away." Perhaps inspired by the joys of playing with antiques as a child, Mr. Pham spent most of his spare time wandering about museums in the city and contemplating antiques on display or reading books about them, trying to discovery the mysterious culture behind each excavated artifacts. He began to collect antiques of all kinds. For Tet in 1993, Pham went back to Phu Cat to take part in the ceremony to mark the battle of Ngoc Hoi-Dong Da, a victory won by Nguyen Hue (later the Quang Trung emperor) against Chinese invaders in 1789. 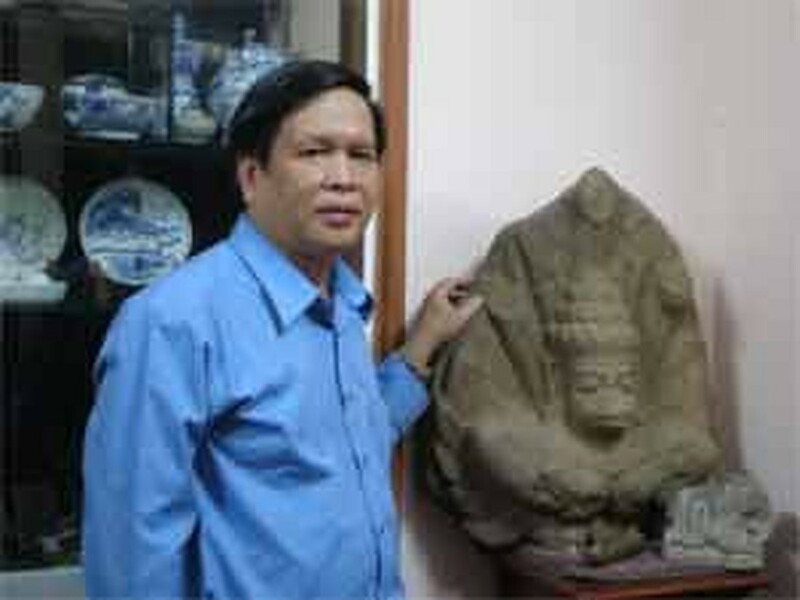 Mr. Pham went to the house of a friend who owned a bronze stamp used during the Tay Son dynasty. The friend sold the stamp to Mr. Pham for a cheap price because he did not have any idea as to the real value of the seal. Mr. Pham took the seal back to HCMC and asked a Buddhist Monk to translate the two lines of carved Sino-Chinese scripts running lengthwise along the back of the seal. How lucky Mr Pham was when the Buddhist monk told him that it was a stamp of office issued by Quang Trung in the winter of 1791 to a special envoy who used to be an admiral, according to the inscription. Mr. Pham then sent a photo of the imprint to the Chinese and Sino- Chinese Institute Research for a check and was overjoyed when the accuracy of the monk's translation was confirmed. Mr. Pham had the chances to acquire the stamp of a great admiral and those of other civil and military mandarins of the Tay Son dynasty. 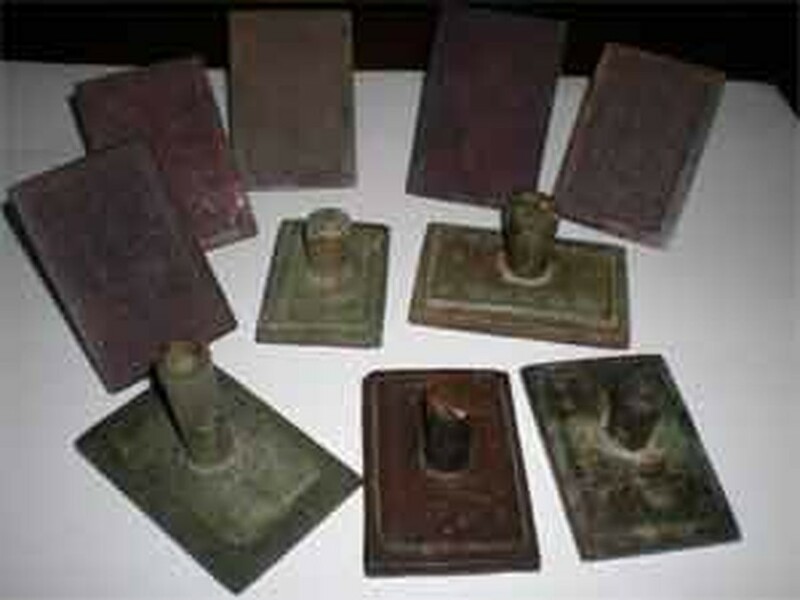 All of them are made of bronze and have a tapered handle at the center and a rectangular face. He pointed out that when Nguyen Anh came to power after toppling the Tay Son Dynasty in 1802, he imposed a barbaric penalty which involved the execution of three consecutive generations of anyone who harbored Tay Son relics. The Tay Son stamps that exist today survive only because of the goodwill of people who took immense risks to safeguard them for future posterity. This reflects the great affection and gratitude the people at the time held for the Tay Son dynasty in general, and the Quang Trung emperor in particular. Pham said that the Vietnam Museum and the Ministry of Culture have asked him to sell some of his seals and stamps many times. “I never think of selling these precious things which helps mark the various historical eras,” Mr. Pham said. “In the old days, a court official's powers were represented in the seal he held. He could make or break the fate of countless people with a stamp of his seal. With the passing of the monarchy, all that remains of the powers that were once so vast are the old seals lying lifelessly in the display cases. One cannot help but ponder at the impermanence, changing fortunes, of life."